Dr. ZhiQiang Chen joined the Civil and Mechanical Engineering Department at University of Missouri-Kansas City in 2010. Dr. Chen received his Ph.D. in Structural Engineering from University of California, San Diego in 2009, yet with a cross-discipline training in engineering mechanics and machine intelligence (vision and learning). 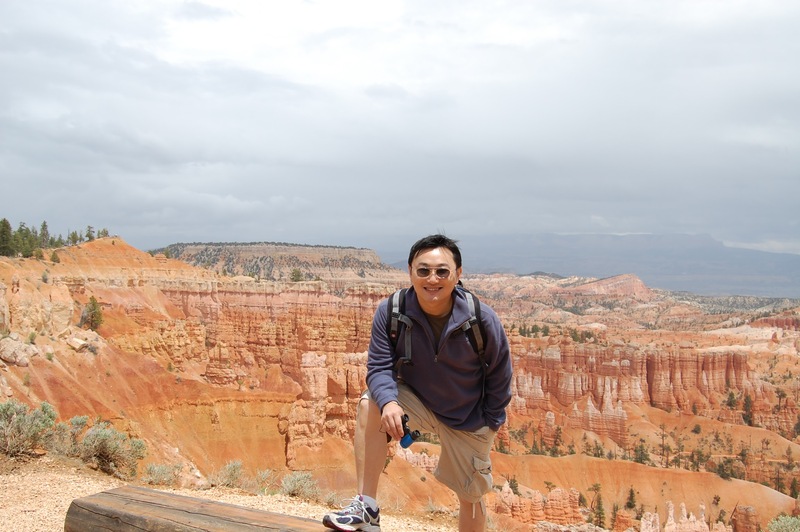 Dr. Chen currently teaches undergraduate courses in Structural Engineering, and direct graduate and doctoral research in both Civil Engineering and Electric and Computing Engineering . Besides directing the research lab (DIGIT), Dr. Chen directs the UMKC Lab for Big Imaging and Smart Technologies under the 2016 Provost’s Strategic Funds. I am also affiliated with NSF-funded NSF Big Learning Center. I also consult as a co-founder and CSO at . For my courses, please see this page. Academic Interests: (1) Systems Intelligence and Engineering Applications; and (2) Multi-hazard and Disaster Resilience Science and Engineering. NSF SBIR (prime: Aware Vehicles), “Situational Awareness in Autonomous Agriculture”. NSF through Missouri Transect Seed Grant, “Development of Aerial-Ground Sensing and Data-enabled Vulnerability-Resilience Modeling for Crop Systems subject to Drought” ($75k). To develop the next-phase USDA CAP grant in response to local, national and global water crisis and other disasters in agriculture (e.g. wildfire and mudflow) due to climate changes. NCHRP 14-29 “Assessing, Coding, and Marking of Highway Structures in Emergency Situations”, $31,000, 10/2013-10/2015. Role in the project: Disaster Informatics Expert, co-PI; collaborate with Oregon State, Merrimack and industry partners in developing the first national transportation structures assessing, coding and marking technologies and guidelines. Principally in charge of smart app development and guidelines for transportation structures assessing, coding and marking. NASA “Enhancing E-DECIDER with Loss and Damage Estimation Capability”, $30,000 (http://e-decider.org/), 10/2013-10/2015. Role in the project: Co-PI; collaborate with NASA/JPL, UC Davis, Indiana University, ImageCat, Inc and national/local (mainly California) stakeholders in emergency responses in developing remote sensing-based damage detection, damage mapping, mobile cloud computing, and crowdsourcing innovations. Ultimately the research team aims to develop the next-generation disaster forecasting, preparedness and response decision-making gateways based on geophysics, remote sensing, and crowdsourcing-based technologies. The objective of this IDIC proposal is to develop a novel finite element-based approach by a hybrid framework of using the promising material point method (MPM) and the emerging immersed finite element (IFE) method. The resulting MPM-IFE framework will be applied to simulate a complex hydro-mechanics problem, namely soil-water flow considering hydrophobicity. NASA, “High-level Understanding and Real-time Computing of Remotely-Sensed Very-High-Resolution Images for Built Environment Monitoring and Disaster Assessment”; $50,000, 10/2012-08/2014. IBM Smarter Planet Faculty Innovation Award, “Smart Sensing and Computing for Smarter Energy”, 2011, co-PI: $5,000, 12/2011-12/2012. University of Missouri Research Board, “Design-oriented Scoured Foundation Modeling”, 2011, sole-PI: $25,900, 1/2011-8/2012. Toyota Research Initiation Award, “Social Justice in Smart Energy”, co-PI: $5,000, 08/2011-08/2012. “KC researcher’s idea to aid tornado rescue could soon be reality”, KSHB 41 TV News — http://www.kshb.com/dpp/news/local_news/kc-researchers-idea-to-aid-tornado-rescue-could-be-reality-soon, May 22, 2013. Live interview at the KCTV5’s Morning Show and discussion of remote sensing research for real-time rescue and recovery (interviewed by Dave Hall, hall@kctv5.com), May 22, 2013, http://www.kctv5.com/.